In a hurry? Need only a few Signs? Download our art for this Sign and print it yourself. 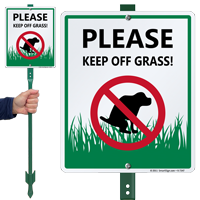 Use this Please Keep Off Grass Sign to tell your neighbors and any other pet owners that they should keep off of your grass. 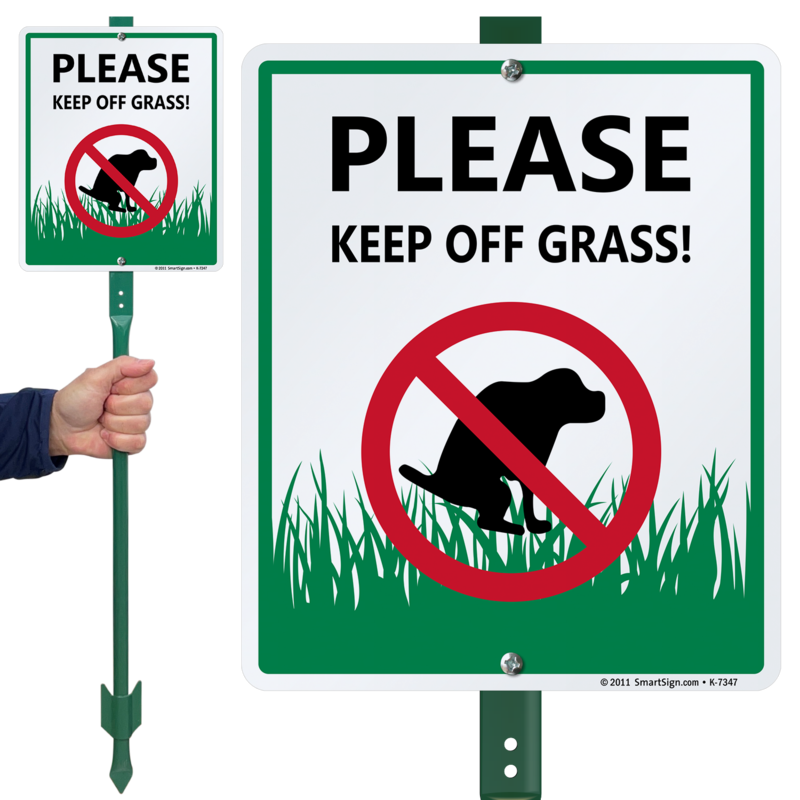 If you want your grass to stay clean and fresh, use this sign to communicate your rules with the neighborhood. Love the fact the signs come with the posts. Easy snap on process. Can't make it any more easier.